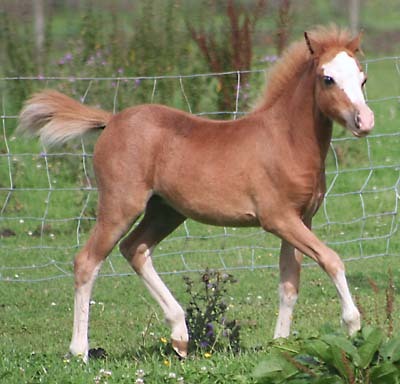 A lovely free moving colt with plenty of substance and a kind temperament. His Sire, Owston Harvest is a Supreme Champion both as a Welsh and Palomino. In the right hands, Guliver has the potential to be a top show colt. Sire is the multi Supreme Champion Owston Harvest. Sandy's dam is from a long line of top show palominos. Sandy has the class to be a top show colt himself and potentially would be of interest to anyone wanting to breed quality palominos. 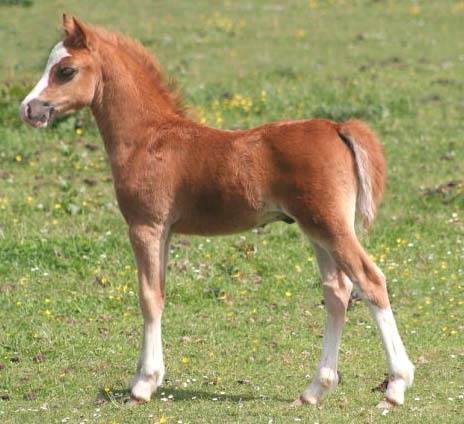 A lovely upstanding chestnut colt, bred from our top bloodlines. His Sire is the multi Supreme Champion stallion Owston Harvest. Pistachio's Dam is the lovely show mare Lapstone Picturesque. 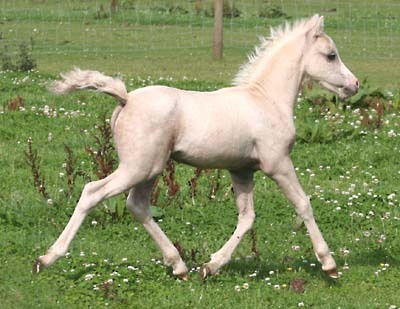 Pistachio is also a Grandson of our Royal Welsh winning Foundation Mare, Churchwood Portia. This boy has all the potential to go to the top. 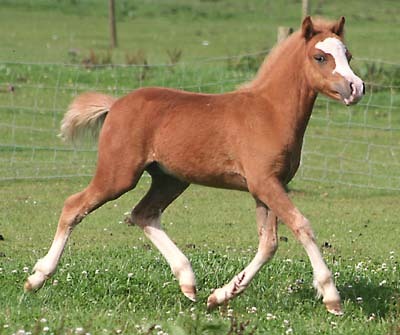 This is a lovely bright chestnut filly with four white socks. She has inherited her excellent movement from both her dam and sire. Her sire Owston Harvest is a multi Supreme Champion both as a SectA and Palomino. 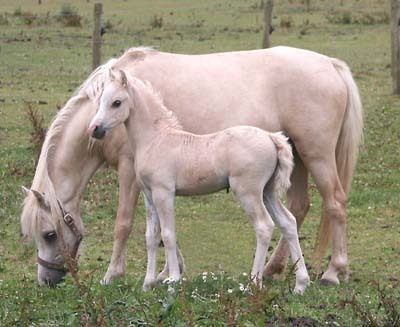 Her dam is the lovely jet black mare Fairstoke Spring Soprano who in turn is out of our famous Palomino Foundation Mare Ceulan Spring Song and by our black Champion Stallion Fairstoke Count Domino. 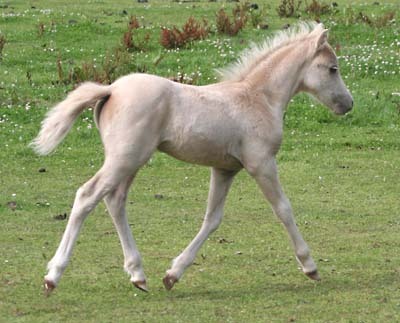 Skye is bred from our top bloodlines and is potentially a top class show prospect and later could be a valuable brood mare prospect, breeding Palomino, Blacks or Duns. 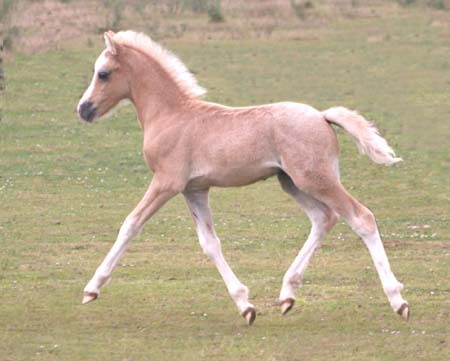 A strong upstanding palomino colt with superb movement and a nice temperament. Sire is the multi Supreme Champion stallion Owston Harvest. Pringle's Dam is the lovely show mare Lapstone Perdita who is a champion both in-hand and under saddle. 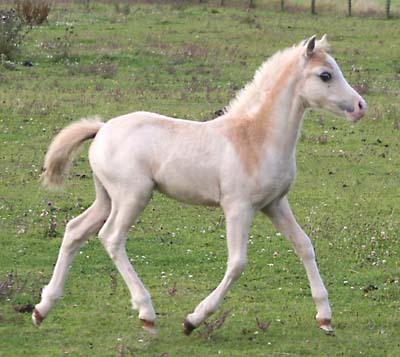 Pringle is bred to be a top show prospect, both in Palomino and Welsh Classes. He has inherited the superb movement an quality that exists in these excellent bloodlines. Grandson of our Royal Welsh winning Foundation Mare, Churchwood Portia. 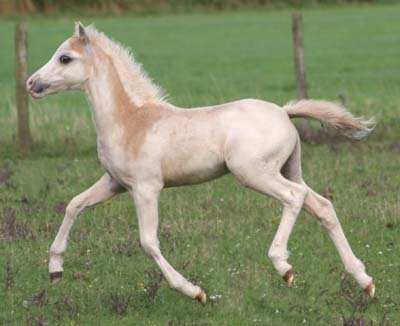 Promenade is a very attractive and good moving palomino colt foal. He has a very kind and gentle nature. 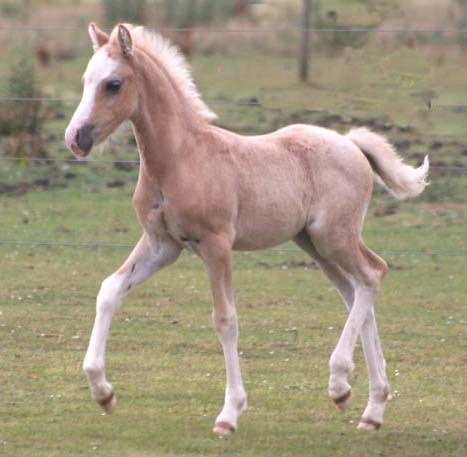 Bred from our very best bloodlines, his sire being the highly successful Palomino Supreme Champion Owston Harvest. Promenade is out of the lovely bright chestnut mare Lapstone Parade who is a daughter of our Royal Welsh winning Foundation Mare, Churchwood Portia.